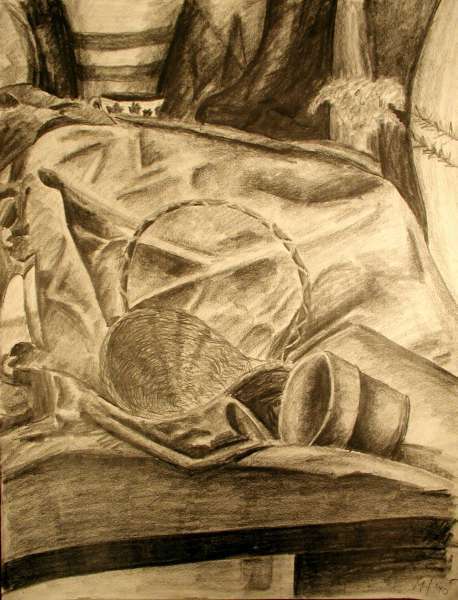 A recently rediscovered drawing of mine (It was living in Arizona for a while). This was one of my early favorites and I had fond memories of it. I wasn't quite as impressed when I saw it again. The cloth and the flower could use some work, but I like the basket very much.